Home » News / Blog » News » Flux capacitor update! Flux capacitor pedal fans … great news! I’m pleased to say that the pedals are on track and should begin shipping next week all being well. The enclosures are being professionally water-jet cut as I write this post. Over the last couple of weeks I have made enough circuit boards and parts for 50 pedals – 42 which are spoken for, which means 8 more of this initial run are up for grabs. 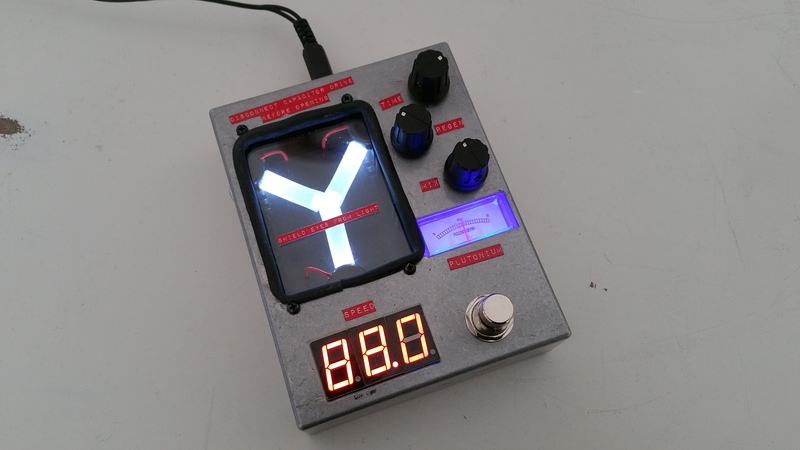 The order page is athttp://4114customeffects.co.uk/…/flux-capacitor-delay-pedal/ if you want one of these! Just to give you an idea of the scale of the task, there are 4 circuit boards per pedal. Each board needed fabricating and populating. That’s well over 5000 components hand wired in total. I’ve worked weekends and late into the evening to get these done as quickly as possible.